Some of the most learned and prominent scientists. mathematicians and physicists, people of science, have been discovering over the centuries that the world we live in and the universe the earth exists in that all things in the universe are based on mathematical and chemical formulas. They have learned that the bodies of animals including humans are dependent a formula sequence that determines the physical characteristics of each human’s body. They have also discovered that each human is unique, and no humans are identical. That discovery is notable because of the billions of humans who live and have ever lived, each one is unique even though the human body has a head, face, arms, legs fingers, in other words, the human body has a limited number of parts, yet no two humans are identical, even identical twins. Mathematically the fact that there is and has been billions of human faces in the history of the world, none are identical is remarkable. And considering that the human faces all have eyes, lips, noses, cheeks, and a very few other parts, how can they all be different? Scientists have also discovered that animal bodies are comprised of basic elements such as atoms, protons, and neutrons. It was not long ago in history that scientists thought that the atom was the smallest particle or element that comprised matter. 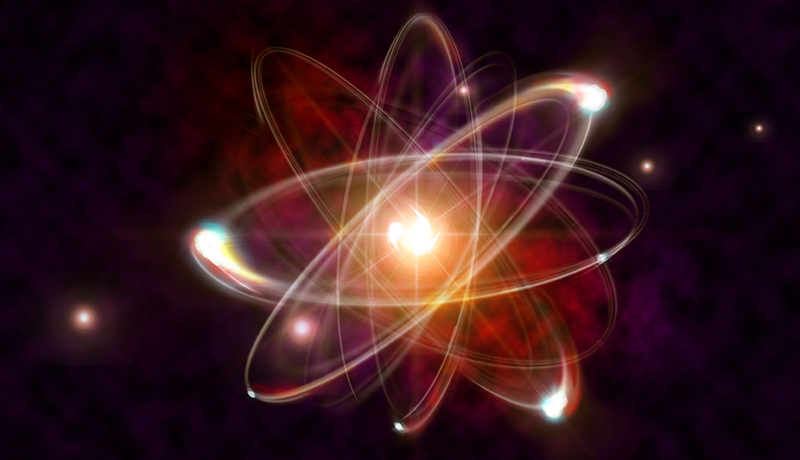 Subsequently, other scientists have made discoveries that the atom is largely empty space and within that space are subatomic particles that are themselves made of even smaller particles. Scientists have discovered the existence of neutrons, protons, electrons, neutrinos or anti-neutrinos plus quarks and leptons. Matter in the human body and the entire universe is very complex and humans still do not understand the complexity of matter and its entire structure in the universe. Scientists do think they understand matter does not cease to exist but can change forms. One of the most prominent scientists of all time, Albert Einstein, postulated a formula that became known as the theory of relativity that states mass can be converted to energy by having its speed increased 10 times the speed of light. This theoretical formula has been supported by test conducted by other scientists and has yet to be disproved. The human body is mostly empty space. The above link leads to an article written in 2016 by a science writer linked to Fermilab lab that explains in everyday language that the human body is mostly empty space. The body is comprised of atoms and the size of atoms depends on the average locations of the electrons within the atom. If all the empty space in the atoms in the human body were extracted the human body would be the size of a small particle of dust and all humanity would be the size of a sugar cube. The writer explains that the mass of our bodies is mostly energy. we’re all made of atoms, which are made of electrons, protons, and neutrons and at an even more basic, or perhaps the most basic level, of protons and neutrons, which hold the bulk of our mass, is made of a trio of fundamental particles called quarks. Many scientists think that almost all the mass of our bodies comes from the kinetic energy of the quarks and the binding energy of gluons. The writer explains that while electrons that comprise the atom are technically weightless, they do have wave functions and invisible quantum fields which makes the space inside the atom feel solid. The writer concludes by explaining that when a person thinks they are feeling an item, such as sitting on a chair technically that feeling is the electrons in their body being repulsed by the electrons of the object that is being felt. Human bodies are mostly energy that is not destroyed, but changes form. Einstein theorized that mass changes to energy, remember mass is already energy when its speed is accelerated. The Scriptures reveal that humans were made by Yahweh and humans were made in his image. The scriptures have revealed for centuries that humans are made in the image of Elohim. The Scriptures also reveal That Elohim is spirit a substance that is not physical but can be felt just like energy. The Scriptures have told humans for centuries, by giving examples, images that can appear and disappear to humans, like the Messiah when his form had been changed, glorified, to meet the Father, when he allowed himself to be put to physical death. The Scriptures also reveal that the Messiah will live forever in a form humans cannot see unless his energy is slowed enough for humans to see. Scientists are now making discoveries that are confirming what Yahweh has told humans in the Scriptures. Scientists and most all humans are learning what has been revealed in Scriptures for centuries, they just don’t understand or believe what Yahweh has been telling them in the Scriptures. Yahweh also told humans that their knowledge would increase, but they still wouldn’t believe Him, even though, they know that all the universe is based on logic and mathematical formulas and those formulas give evidence that the universe could not come into existence by mere happenstance. Yahweh gave knowledge to his prophets who have written just what will happen to the humans of earth, They have written about wars and kingdoms rising and falling, the Greeks, Persians, and Romans. They have also written about the coming destruction of the governments of humans and the coming Monarchy that will rule the entire earth. Read YNCAs article the S-Word. IN the time of the end people will have the knowledge of how all the universe was created, how humans are energy and how they can live as Spirit/energy in a universe which cannot be seen with human vision, but that scientists are learning does indeed exist, they just don’t understand it. It’s not like they haven’t been told, it’s right there in the Scriptures. People who believe that there really is a God, Son, Angels, Satan Demons accept the scriptures on faith because there is no physical evidence these beings exist accept that the Earth, planets the universe and all that comprise it exist and humans know they exist because the can be seen and touched except for planets which they view through telescopes. Can the belief that heaven exists since humans believe God lives in Heaven above the earth and see down upon the people of earth and know how they are living their lives. People in spaceships have gone to the moon and flew through the Heavens above the earth and didn’t see God; does this mean God doesn’t exist or is Heaven somewhere else? The Scriptures, along with science, do provide some clues as to where Yahweh, Yahshua, and other beings reside. Scriptures reveal that physical beings cannot enter the Kingdom of Heaven. The human body is made up mostly carbon atoms, atoms are made of protons, neutron, and electrons, which are mostly made of quarks. After these items, the body is made of subatomic particles. The largest part of the body is water or hydrogen and oxygen which turns into a gas when the body expires. Mostly, the body is filled with empty space that is believed to exist between the very large number of subatomic particles in the body. When the physical body dies what happens to the small amount of mass in the human body? Every human body has a nervous system that is comprised of neurons that are interconnected to other neurons by something call synapses which are connections between neurons and can number up to one hundred trillion in each body. Bodies have sensory receptor cells that receive a stimuli from the outside world transfer it to neurons by electricity and chemicals which in turn transmit the stimuli to other neurons in the brain via synapses which then sends the electrical signal to other parts of the body such as the heart which is regulated by electrical signals from the brain. Without these electrical signals, the heart would stop beating, the body would expire and waste away to almost no mass. 7 the Lord God formed the man from the dust of the ground and breathed into his nostrils the breath of life, and the man became a living being. The living being called man is different from all other living beings that Yahweh has created, man can reason and has the ability to learn and make complex decisions. No other animal on earth has this ability. The scriptures also reveal that Yahweh made each animal after its kind which simply means that he made different species of animals and that each animal species is encoded with DNA that determines what species characteristics that animal and its offspring will have. There has never been discovered any species that has developed into another type of species. In plain language evolution between the species cannot and does not exist and science knows this yet the theory of evolution still persist and is taught as a fact in schools and not a theory, even though logic, math and chemistry formulas prove man has not evolved from other animal species. It is interesting and confusing that various writers, scientist, and scholars write supporting the theory of evolution, with supposed sound theories support evolution between the species, however, their arguments are largely based on suppositions that the laws in place in the world and universe have somehow been broken or animals have mutated between species. In spite of their expansive arguments and theories, they have no physical proof to support their missing link theories. Yahweh has warned humans about the false teachings of the so-called wise of the world in the scriptures. 20 Where is the wise man? Where is the scholar? Where is the philosopher of this age? Has not God made foolish the wisdom of the world? 21 For since in the wisdom of God the world through its wisdom did not know him, God was pleased through the foolishness of what was preached to save those who believe. While another universe or universes may now be just theory there are clues in the scriptures supporting the existing of other universes. Remember the physical body which is comprised of very little mass cannot inherit eternal life in the Kingdom of Yahweh, it must be changed, but changed to what? What is different about humans versus other animals? Humans are the only animals that know their lives are finite, they are going to die. Humans are the only animals that can form and use complex languages. Humans are the only animals that solve complex math equations. There are many differences between Humans and all other animals, but a very big difference is humans can reason and questions their existence. They can also create societies and make laws and rules to live by and then break those rules. However, neither humans nor any animal can break the laws by which the earth and the universe or universes exist. Some far greater power made those rules and that great power put into writing how great that power is and how humans must live by those rules to have an eternal life in the kingdom of that great power who has identified himself as Yahweh. He has also warned just what will happen to those humans who think they are too smart to believe his rules and disobey his commandments and rules, read YNCAs article (A Woe To The Wise). Human animals are the top of the animal hierarchy, most of them know they their lives are finite and they are going to die and cease to exist, however, the Scriptures reveal that at least some human animals will live twice and some will even die twice. This is a very fascinating piece of information that is revealed in the Scriptures yet most human animals don’t know about it or they don’t believe what the Scriptures portray. This very monumental startling incredible information is shocking to comprehend, yet most human animals don’t believe, understand or comprehend it’s significance and relevance to each and every human animal that now, will or has ever existed. What is really significant about this information is; to have a second death it is only logical to understand one must have a second life. Is a second life in the scriptures? 11 Then I saw a great white throne and him who was seated on it. Earth and sky fled from his presence, and there was no place for them. 12 And I saw the dead, great and small, standing before the throne, and books were opened. Another book was opened, which is the book of life. The dead were judged according to what they had done as recorded in the books. 13 The sea gave up the dead that were in it, and death and Hades gave up the dead that were in them, and each person was judged according to what he had done. 14 Then death and Hades were thrown into the lake of fire. The lake of fire is the second death. 15 If anyone’s name was not found written in the book of life, he was thrown into the lake of fire. Revelation 20:11-15 is another piece of consequential information to the human animals that exist, ever existed or will exist. This is information is so incredible that humans, for the most part, can’t believe it. Almost no one really believes that they will die and be brought back to life which is exactly what the scriptures relate. After all the scriptures were written thousands of years ago by relatively uneducated men. Even religious people who believe they’re souls will; have eternal life in heaven which they can’t see in the skies or space, close to earth struggle to accept they will die and be brought back to physical life. They really don’t know just what their soul will be like and what it will do in heaven, but they have been led to believe that is what happens after the death of their physical bodies. But the Scriptures recorded in the Bible in the book of Revelation 20:11-15 predicts that the dead will be brought up from Hades, the sea and death will stand before a throne from which each person will be judged for what they have done. Hades by way of information is not the underworld place called hell where the souls of sinners go to burn and suffer eternally. Hades is a word derived from the Hebrew word Sheol that means a grave. ]; AV GRAVE , HELL , PIT ; NEB also GRAVE . A Hebrew proper noun without clear etymology and with a relatively wide range of meanings (mainly “death,” “the grave,” “hell,” “the next world,” “the nether world”), making it difficult to determine which of its meanings is in view in any given OT passage. The term occurs sixty-six times in the OT; but outside the OT it occurs independently only once, in the Aramaic Elephantine papyri of the 5 th cent. B.C., where it seems to mean “the grave.” The LXX renders it by Gk. Previously, in this study, it was described that the physical bodies of human animals are made of the same material as the earth. When the earthly materials are examined the physical body of humans is comprised of a very small amount of materials that exist when the water and gases in the body evaporate or dissipate after the death of the body. That material is comprised of minuscule items such as carbon atoms, atoms are made of protons, neutron, and electrons, which are mostly made of quarks. After these items, the body is made of subatomic particles. The largest part of the body is water or hydrogen and oxygen which turns into a gas when the body expires. Mostly, the body is filled with empty space that is believed to exist between the very large number of subatomic particles in the body. When the body dies the small amount of mass in the human body, which consists of the same material as the earth and the stars and has been in existence for billions of years, is so small it is not as big as a speck of dust. It is believed by many scientists that the mass of all the humans ever to exist would be the approximate size of a sugar cube. Scientists believe that the protons and neutrons inside the nucleus of an atom are each makeup of quarks which account for a small percent of the mass of protons and neutrons in a human body. The quarks are believed to be held together by a strong nuclear massless force called gluons. The brain of a human body has energy that is contained in neurons of which scientist believe the average brain has about 100 billion. Each neuron can be connected to 10,000 other neurons by synaptic connections. Simply put, the nerve cells in the brain are connected together and send signals to other neurons, nerve cells so that a brain can send electromagnetic signals with the aid of chemicals produced by nutrients from food introduced into the body. The brain uses approximately twenty percent of the energy consumed in the human body. Scientists largely believe the body is held together by energy. Sources: The Brain From Top to Bottom- McGill University. E = mc2. It’s the world’s most famous equation, but what does it really mean? “Energy equals mass times the speed of light squared.” On the most basic level, the equation says that energy and mass (matter) are interchangeable; they are different forms of the same thing. The first law of thermodynamics doesn’t actually specify that matter can neither be created nor destroyed, but instead that the total amount of energy in a closed system cannot be created nor destroyed (though it can be changed from one form to another). It was after nuclear physics told us that mass and energy are essentially equivalent – this is what Einstein meant when he wrote E= mc^2 – that we realized the 1st law of thermodynamics also applied to the mass. Mass became another form of energy that had to be included in a thorough thermodynamic treatment of a system. (For a very important note on the difference between matter and mass, see here: http://plato.stanford.edu/entries/equivME/#2.1). The human body is comprised of matter that many scientists believe cannot be destroyed and can be converted to energy by being increasing the speed of the particles to increase their speed to the speed of light squared or much faster than any speed humans know including the speed of light. The human brain is believed to be the largest source of energy in the human body. Humans memories, personalities, thoughts and knowledge resides in the brain which many scientists believe is comprised of subatomic elements that cannot be destroyed but can be converted to energy. The first law of thermodynamics is a law that can be broken as can man made laws, it is a law fixed firmly in the creation called the universe and can not be changed by humans. It is a very complex law on which the universe known by humans depends for its existence. The first law of thermodynamics can possibly provide support for the theory that people can have eternal life but not in the physical form in which they lived as humans but in a life form that uses their matter and mass as humans but as energy from the very same subatomic particles that comprised their physical bodies while alive as humans. Human brains the repository of knowledge that humans gain over their physical lives is made up of subatomic particles that cannot be destroyed but can exist forever in the form of energy. Could this mean that beings known as humans could have their matter converted to another life form that can exist forever as energy or a being made of energy that can move so quickly they cannot be seen like electricity? Can the scriptures support the first law of thermodynamics? The Bible has many verses in it that describe where angels and other beings, not human, appeared to humans. These verses were written centuries ago by men who had no knowledge of the first law of thermodynamics, but by simple men supposedly inspired by a great Creator of all human, animal kind and all the universe. A great and powerful Creator who made laws that control the universe and all that exists in that universe including humans. That Creator told humans in scriptures, in writing, so they could read the scriptures and understand the plans the great Creator had for his creation which included humans. The scriptures portray that beings can appear and reappear whenever they please. Read carefully The book of Luke chapter 24 in the New Testament for a description of how a human was killed, rose from death and appeared several times to humans in forms they did not recognize and revealed himself to them so they could recognize him and then appeared to rise into the air and disappear. 24 On the first day of the week, very early in the morning, the women took the spices they had prepared and went to the tomb. 2 They found the stone rolled away from the tomb, 3 but when they entered, they did not find the body of the Lord Jesus. 4 While they were wondering about this, suddenly two men in clothes that gleamed like lightning stood beside them. 5 In their fright the women bowed down with their faces to the ground, but the men said to them, “Why do you look for the living among the dead? 6 He is not here; he has risen! Remember how he told you, while he was still with you in Galilee: 7 ‘The Son of Man must be delivered into the hands of sinful men, be crucified and on the third day be raised again. '” 8 Then they remembered his words. 28 As they approached the village to which they were going, Jesus acted as if he were going farther. 29 But they urged him strongly, “Stay with us, for it is nearly evening; the day is almost over.” So he went in to stay with them. The Scriptures provide several occasions in which beings appeared to humans that were not physical beings and not humans. 3 The angel of the Lord appeared to her and said, “You are sterile and childless, but you are going to conceive and have a son. Then there came a voice from above the expanse over their heads as they stood with lowered wings. 26 Above the expanse over their heads was what looked like a throne of sapphire, and high above on the throne was a figure like that of a man. 27 I saw that from what appeared to be his waist up he looked like glowing metal, as if full of fire, and that from there down he looked like fire; and brilliant light surrounded him. 28 Like the appearance of a rainbow in the clouds on a rainy day, so was the radiance around him. Do humans have a Soul that goes to heaven or hell upon the death of the physical body? Popular worldly religions mostly Christianity has ministers, priests, scholars and just laymen that apparently believe and teach people have souls that go to heaven or hell for either a reward for accepting the death of Jesus Christ as their savior or eternal torture in hell if they are not saved by the sacrifice of the Messiah for their sins. The word soul used in the Scriptures merely means humans have breath or live because they breath. The Hebrew word translated into soul in the English Bible is naphash taken from the Hebrew word nephesh merely means breath, see the definitions in Strong’s dictionary. Religious leaders have taught for thousands of years that soul in the Scriptures is an essence of some kind that retains the characteristics of the human being and lives forever in either heaven or hell. This hypothesis cannot be found anywhere in the Scriptures. Spirit in man likely resides in the brain, which is made with subatomic particles which cannot be destroyed. The matter in subatomic particles has energy that can be an increased in speed to even faster energy. Elohim is spirit and he gave humans spirit. Spirit like energy cannot be seen, but like electrical energy can be felt. 22 ” ‘By what means?’ the Lord asked. ” ‘I will go out and be a lying spirit in the mouths of all his prophets,’ he said. Mathematicians, scientists, physicists, scholars, and all people do not understand the great power and scope of Yahweh Elohim (Lord God) incorrectly rendered in the English Bible. Most people do not even attempt to comprehend the Scriptures and the greatness of the Spirit Of Elohim nor do they even try. Most simply listen to the aforementioned mathematicians, scientists, physicists, scholars, ministers, priests theologians and others who proclaim theories, dogma, conjectures, hypotheses, and just plain ungrounded speculations. In recent history, humans have developed technological tools that have allowed humans to gather information on the greatness of the vast universe in which the earth exists. And what have they learned? That the universe and all it entails is far to complex for humans to comprehend in its entirety and that includes even the relatively small understanding of the composition of humans themselves. Humans have learned that each human is an individual and no two humans are exactly alike. Each Human has a DNA code that is different than any other animal including identical twins that have the same father and mother. ( Study results at University of Ontario study March 2011). Of all the billions of humans that have ever existed no two are alike. Imagine the complexity of a mathematic formula that would be necessary to make billions of people in which no two are identical. That is just what DNA is, a formula that determines the characteristics of each person who is now alive, previously lived and those who will live. The universe and all that exists within it are regulated by mathematical formulas so complex humans with all their collective thinking minds over centuries still cannot comprehend. Mathematics is logical, equations lead to other equations which must work in harmony (except in rare instances) for the universe and life to exist. Only one example, which, most people have heard of is the math necessary for the law of gravity to work. Without the law of gravity the earth, moon, and all planets could not maintain their order and would cease to exist. There are professional writers and mathematicians who have used math theory to proclaim that species to species evolution is logically impossible, there other math/ scientists writers that proclaim that those who justly the creation of the universe was done by superior intelligence “Creationist” are in error and that some misunderstood possible deviance or mutation could have played a large role in the creation of the universe. Of course, they mostly ignore the mathematical formulas that control the forces of the earth and the universe and fail to explain how genetic mutations can fix unchangeable mathematical formulas and their effect on all creation known to humans. A very important fact to remember is that one of the worlds best math minds Albert Einstein theorized the theory of relativity which has been proven by subsequent observations and tests. E = mc 2, the equation in German-born physicist Albert Einstein’s theory of special relativity that expresses the fact that mass and energy are the same physical entity and can be changed into each other. In the equation, the increased relativistic mass (m) of body times the speed of light squared (c 2) is equal to the kinetic energy (E) of that body. Many scientists are skeptical that any material even weightless neutrinos can travel faster than light, however, scientists still do not understand the development of the universe and have only recently begun to understand the power of splitting atoms to make nuclear power thus putting humans closer to the destruction of human governments predicted in the Scriptures. The ways of the self-proclaimed wise people are scoffed at by Yahweh in the Book of Life (the scriptures) because these same wise humans don’t believe in eternal life and the transformation of physical matter to energy. Many of them don’t believe that all creation based on logical-mathematical formulas is the product of superior intelligence, but instead is the result of illogical happenstance, which is mathematically impossible. They can’t explain, how billions of humans can exist and no two are identical, in plain words they deny the existence of Elohim. They don’t believe the Scriptures Elohim provided humans written by different men over centuries which have prophesied the rise and fall of governments through symbols identified by biblical and historical scholars. Read YNCAs article “The Proof of the Creator”. This is the first resurrection. 6 Blessed and holy are those who have part in the first resurrection. The second death has no power over them, but they will be priests of God and of Christ and will reign with him for a thousand years. Notice carefully Yahweh will deal with Israelites after they have defiled themselves, for the sake of his name, which the Israelites have blasphemed throughout almost their entire history as recorded in the Scriptures provided by Yahweh for humans to understand and heed. All humankind will be almost totally destroyed people have mocked Yahweh and proclaimed themselves the highest form of intelligence even though they barely understand the logic and intelligence of Yahweh displayed to them through creation based on mathematical-logical formulas without which humans could not exist. Scriptures support the existence of multiple universes and mass to energy! In the books of Mathew, Luke, Mark John, and Acts, the apostles recorded multiple occasions where the Messiah appeared to his disciples alive after he was killed on the stake by the Romans at the urging of Jewish religious leaders. The Scriptures proclaim that the risen from the grave Messiah revealed himself several times to people for forty days after he was killed on the stake publicly. 1 In my former book, Theophilus, I wrote about all that Jesus began to do and to teach 2 until the day he was taken up to heaven, after giving instructions through the Holy Spirit to the apostles he had chosen. 3 After his suffering, he showed himself to these men and gave many convincing proofs that he was alive. He appeared to them over a period of forty days and spoke about the kingdom of God. 17 And Elisha prayed, “O Lord, open his eyes so he may see.” Then the Lord opened the servant’s eyes, and he looked and saw the hills full of horses and chariots of fire all around Elisha. The Creator Yahweh Elohim, the angels and a host of others including the Messiah Yahshua live in a place or universe which men cannot see. Those beings made of spirit/energy can make themselves appear to humans and if logic is applied these beings that can appear to humans apparently at will can slow down their energy and appear as physical. Thus the discovery by Einstein that energy is the particles that make up physical beings can be sped up to become likely Spirit beings that reside somewhere humans cannot see. The wisdom of Elohim is displayed in logic!! All of creation is based on formulas including laws of nature of the earth without which, the earth, all animals, including humans could not exist. The scriptures are the only knowledge known to humans that portrays the history of humans, based around the tribes of Israel, and foretells the future of humankind. The Scriptures have given a history of humans in literal and figurative words and provide predictions of the coming fate of not only the humans that exist, will exist or have existed. The scriptures have provided proof that superior beings have created the universe in which and alluded to another universe where spirit beings including Elohim and his angels exist, which is referred to in the Scriptures as Heaven. The Scriptures have revealed that physical beings cannot enter heaven unless they are in a different form called Spirits in the Scriptures. Humans have recently learned that matter can be changed to a different form by increasing the speed of the particles from which matter is made. The spirit beings, Elohim is Spirit, can slow down their particles so they can be seen by humans, according to the Scriptures. Spirit beings can be immortal, again, revealed in the Scriptures and humans can be changed into spirit beings even after they die as physical beings. 24 Jesus replied, “Are you not in error because you do not know the Scriptures or the power of God? 25 When the dead rise, they will neither marry nor be given in marriage; they will be like the angels in heaven. Human beings will be raised from the dead and be judged for their deeds to determine if they will be eligible to enter a universe the Scriptures call heaven where a beautiful city exists called the New Jerusalem in which spirit beings, former human beings will reside. The beauty New Jerusalem is described in detail in the Scriptures as is the earthly Jerusalem in which physical beings will reside after the earth is almost totally destroyed by the governments of humans through warfare described in the Scriptures. Don’t be misled by foolish people who believe they are wise!! The Scriptures have many warnings about the foolishness of people who are ignorant about the Scriptures and don’t believe the All-powerful Yahweh created the universe and all its laws and components. Read YNCAs article “A Woe To The Wise”. Many so-called wise men including Physicists, Mathematicians, Chemists and educators have declared there is no God [Yahweh] even though they have studied the logic upon which the Earth and Universe exist and can’t help but know that it is mathematically impossible for the complexity of the Earth, planets, and laws of so-called nature and life itself could not have created themselves. The Scriptures are the “Book of Life” Elohim has explained to humans ( in simplistic terms) literal and figuratively what he has done, how humans are to live and what his plans are for creation, including humans, if they will heed and obey his words. Yahweh knows there have been, are now and will be stiff-necked, foolish people who will ignore his commands and will suffer the eternal consequences he has also described those consequences and they are nothing like what is expounded by the popular religions taught by false teachers now and in the past. Be wise, change your ways, study the Book Of Life for yourself your existence depends on it, and you are to make that knowledge known to your children. Yahweh is loving and forgiving don’t foolishly believe and follow the example of ignorant and foolish so-called wise people.